I am a Goldilocks kind of chili lover. I want mine not too thick but not too watery either. 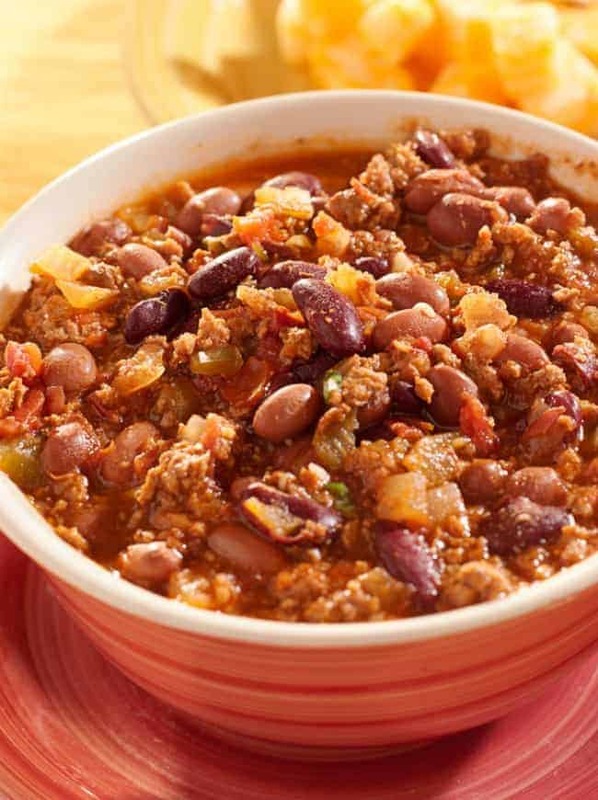 This copycat Wendy’s chili recipe is just right. Also, did you know it is gluten-free? I love Wendy’s chili but to be honest when I want chili I’m usually wanting to be at home and cuddled under the blankets while eating it. That is why I love this copycat recipe. I can make it at home without having to get out of my pajamas, assuming I have all the ingredients. Speaking of ingredients here is what you will need to make some for yourself. 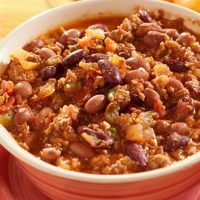 Yes, there are several ingredients in this chili, but you can put this recipe together in no time. You won’t be disappointed when you make a delicious bowl of this amazing chili from scratch. If you are using a regular pot bring to a simmer over low heat and cook approximately 2-3 hours, stirring every 15 minutes. You can also use a crockpot (my preference), 6-8 hours on the low setting. Great served with all your favorite toppings such as shredded cheddar cheese, sour cream, and oyster crackers. 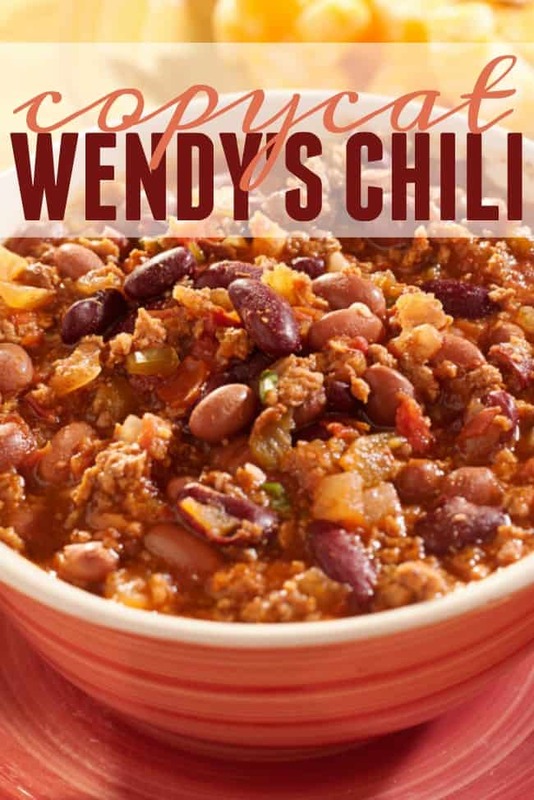 This Wendy’s chili recipe is a great recipe to prep the night before. Allow it to simmer on low in the crockpot while you’re at work, school, etc. Just in time for dinner, you will have an amazing, hearty meal ready to go. 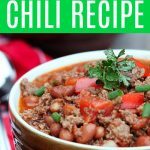 Wendy’s chili may have several ingredients but truthfully it is a simple go-to for many families and the flavor is familiar and inviting. It makes you want to go have a bowlful right now. Plus you can make a double batch and freeze the leftovers for a quick easy meal later on in the month. 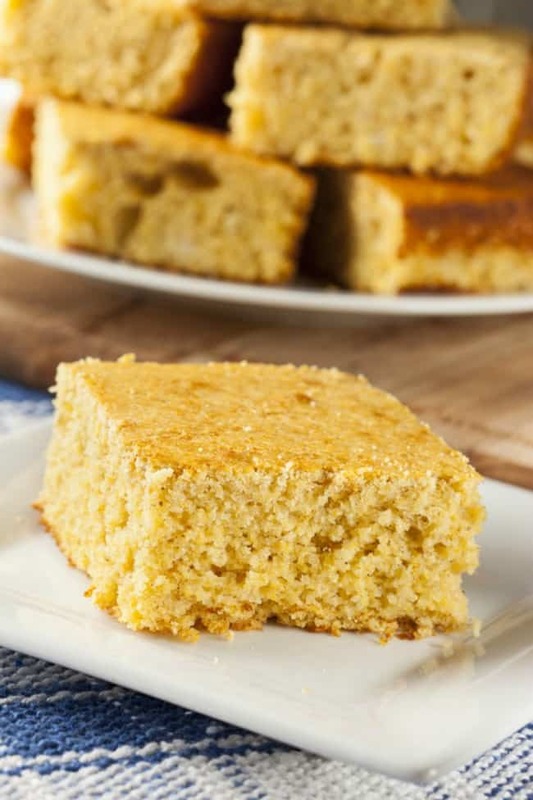 When we make chili we also love to have this Copycat Boston Market Cornbread. It goes perfectly with this chili dish. Here are some useful tools in making this Wendy’s Chili Recipe. Oh so yummy! Love Chili on game days. 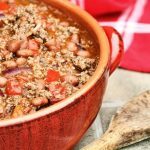 chili is one of my absolute faves – in fact I made it sunday! This recipe is very close to mine except I’ve never used celery before.